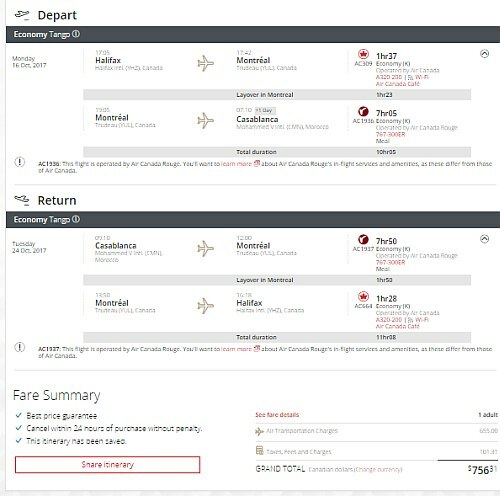 Air Canada has dropped the price of their flights from Halifax to Casablanca, Morocco down to $756 CAD roundtrip including taxes. The flights have 1 stop each way, in Montreal. 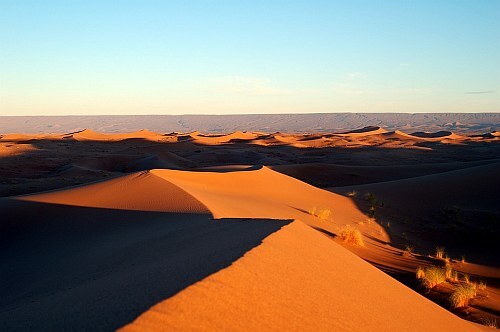 This is 40% below the cheapest typical price from Halifax to Morocco. 2. Look for the dates that have short stops in Montreal each way. Some dates have nearly full day layovers. For dates with short stops, try Monday to Tuesday flights, such as October 16 to 24. Or Monday to Wednesday flights, such as January 10 to January 22.